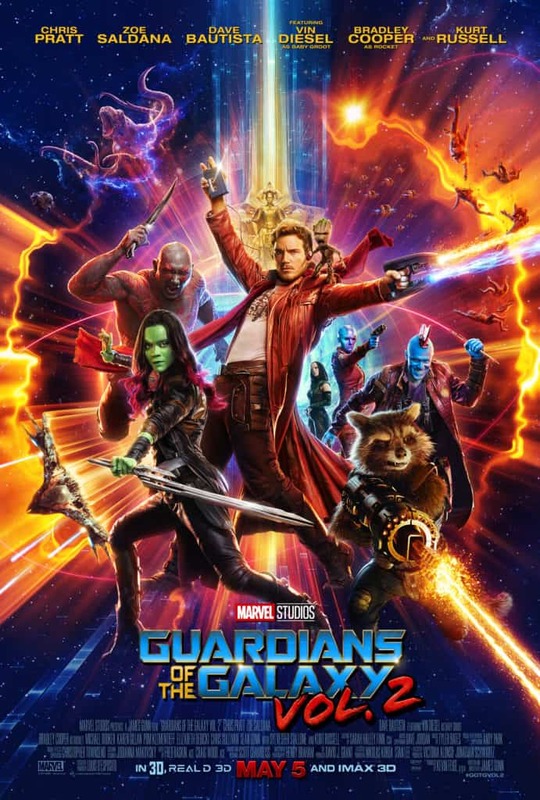 Guardians of the Galaxy ranks in my top 5 favorite Marvel Studios movies, and is definitely one of my top 3 favorite origin stories. When they announced Guardians of the Galaxy Vol 2 I had high expectations and a lot of curiosity. How would they top the first one? Was that even possible? Then the teasers started. 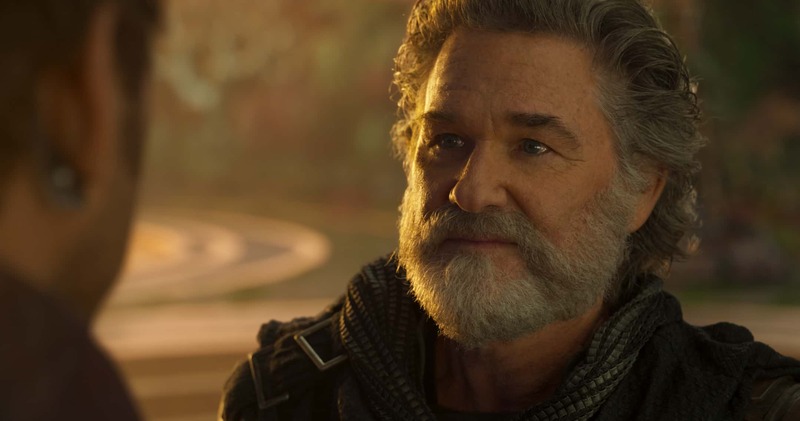 The music, posters, and Kurt Russell as Peter’s dad. Umm yes. All the yeses to yes. After the trailers and TV spots were released, I went into the theater confident that James Gunn was going to blow our minds a second time. And I was right. Do I dare say, I may even like this one better than the original?! Whaaaaaaaat? Vol 2 picks up a few months after the first film ended. Peter Quill a.k.a Star-Lord and our favorite group of misfits are busy with mercenary work, patrolling and protecting the universe. 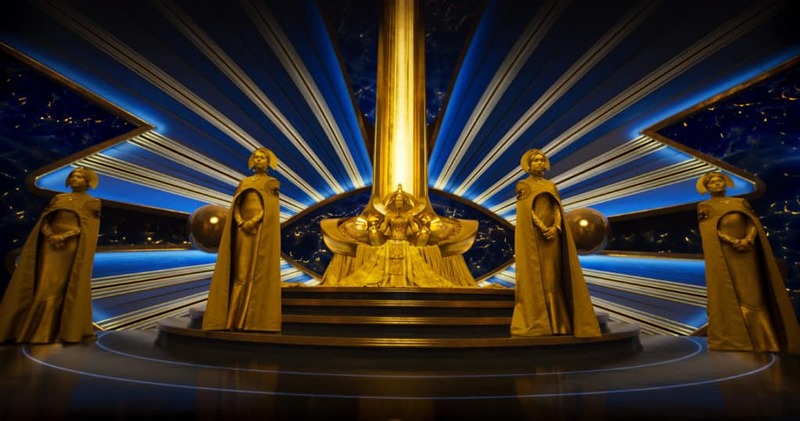 Everyone wants to hire them after their famous save of Xandar. 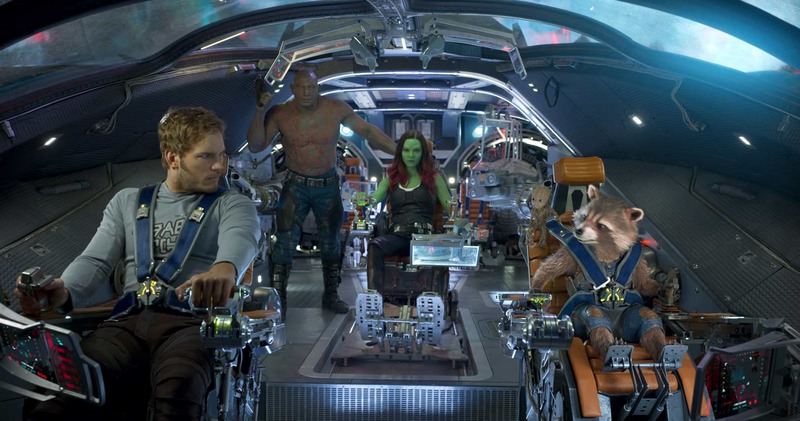 But Rocket gets them into trouble and once again they are being pursued all over the galaxy by some not so nice people. Along the way we encounter some familiar faces, new villains, heroes, Ravengers, and of course Ego, Peter’s dad. Psst… that is Toby from This is Us! A lot less friendly and funny here. What I really loved about this movie, and even the first one, is that not only are they an epic, visually stunning, hilarious adventures, but they pack a lot of heart. Vol 2 hits you in the feels more than the original. Seriously, I was not expecting to cry during the first but then he read the note from his mom and boom, tears. Vol 2 sees all the characters growing within themselves, and dealing with past demons. We learn a lot about them, why they made certain choices, and what they really wanted all along. No long monologues, but conversations and a few quiet moments that show us more about the Guardians than ever before. For Peter, he is coming to terms with who he thought his father was with who is standing before him. He feels abandoned, hurt, and ultimately relief at finally finding Ego and his home. Gamora and Nebula. These sisters have a lot to work out, and anyone with a sibling knows, rivalries run deep. Do they want to kill each other? 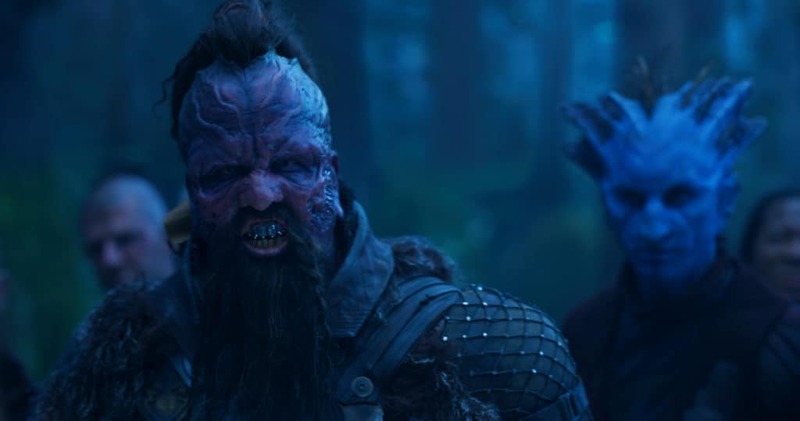 Is Nebula really such an awful person? Gamora also is trying desperately to hold her family together. Like a mom, she just wants them to get along and stop with all the fighting. 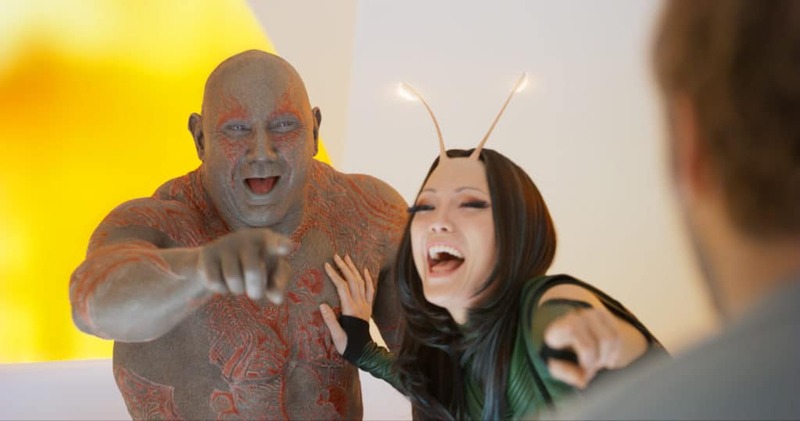 Drax and Mantis are pretty innocent, awkward, and dealing with their own inner sadness. Together they form an unlikely friendship that is actually pretty beautiful at it’s core. Rocket has always been a tough guy, er raccoon, but he learns that being a hard-a isn’t always the best way to be. 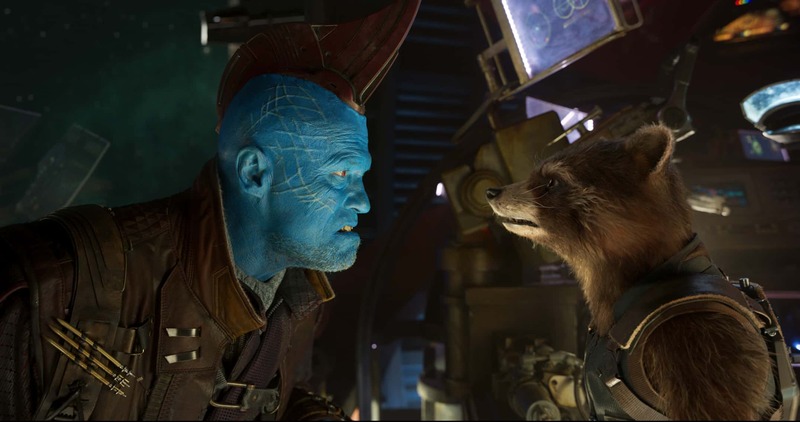 Ironically, it is Yondu who helps Rocket dig deep within himself. He goes through a lot of growing in this film and you can’t help but want to hug him by the end. But watch out he does bite. 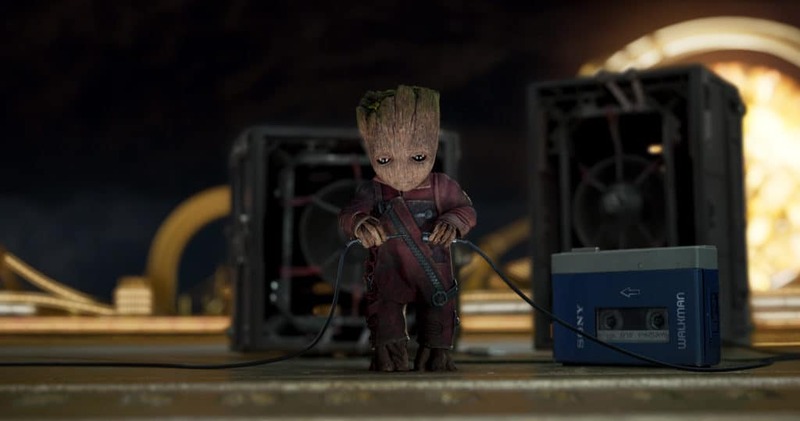 Baby Groot. I don’t think I even need to explain anything about him. You’re going to love him. He’s a mischievous, endearing little toddler who is trying his hardest to fit in and make a good impression on the rest of the team. It wouldn’t be Guardians without an awesome throwback soundtrack. We finally get to hear and rock out to Awesome Mix Vol 2. 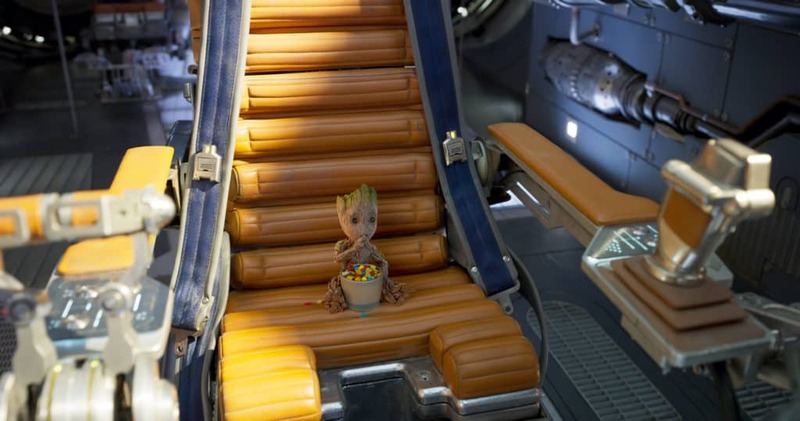 Do not miss the opening scroll of the film, 2 words: Baby Groot. Never, NEVER leave before the credits are finished in a Marvel film. I figure we all know that by now but I saw some people get up so I thought maybe another PSA was needed. Vol 2 has FIVE end credit scenes. Look for moving pictures, I AM GROOT, and other fun things in the credits. Verdict: Guardians of the Galaxy Vol 2 delivers in every way possible. At the core, Guardians is about family. In the first one, they are became a family. Becoming a family and staying together as a one are two different things. With such dominate personalities, there is a lot of head butting. Family is central and the exploration of just what it means to be a family is key. At the end of the day, your family doesn’t have to be blood relatives, or even the same species. Family is about who is there for you, caring for you, and who will watch your back when a band of psychos is trying to shoot you out of the sky. Go see Guardians of the Galaxy Vol 2 in theaters now! Guardians of the Galaxy is Awesome and a Must See! We absolutely LOVED Vol 2. Such a fun movie! I am so excited to watch this with my nephew! Guardians of the Galaxy is one of his favorites! I am so excited to see this movie! I know my son will enjoy as much as I will! I cannot wait to see this movie. I love when a movie comes out that my kids want to see that I want to see as much! I’m glad to hear that it lived up to its predecessor! We are seeing this as a family on Sunday and are excited! We loved the first one. I’m so glad this one is even better. 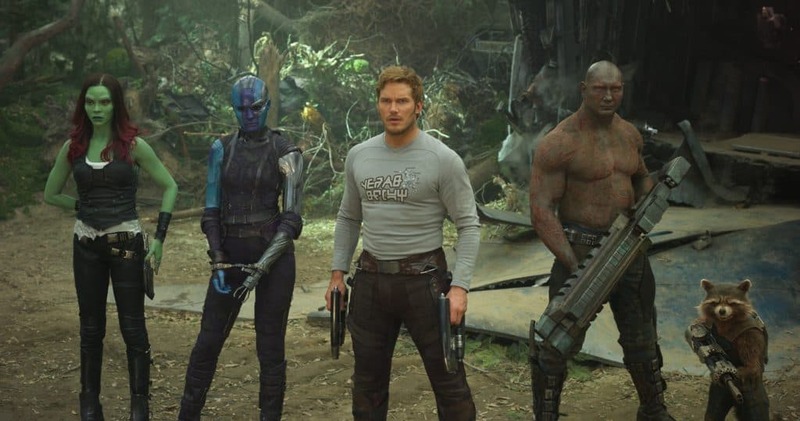 I loved Guardians of the Galaxy and didn’t even realize that another one was coming out. The hubby and I need a date night so this is a great option that we’ll both enjoy. Can’t wait to see it! I went to see his with my 7 year old daughter as she loved the first. We really enjoyed it but a few parts she was a little scared watching. The boys are going to see this movie as soon as daddy gets a night off! They are so very excited. We’re going to see it this weekend! I can’t wait to see it! I’ve gotta go watch it! I loved the first one. Thanks for sharing. I’m so happy to hear you liked it. I haven’t made it through the first one yet, but I love Marvel movies so I’m going to give it another try! What is your favorite? You mentioned this was in your top 5 so I’m curious what your favorite is! I love Marvel Comics movies, especial Iron Man. I have seen both Guardians of the Galaxy movies and love them both. So after seeing the film, I am curious as to what you thought of Teenage Groot at the end. Did you like it? 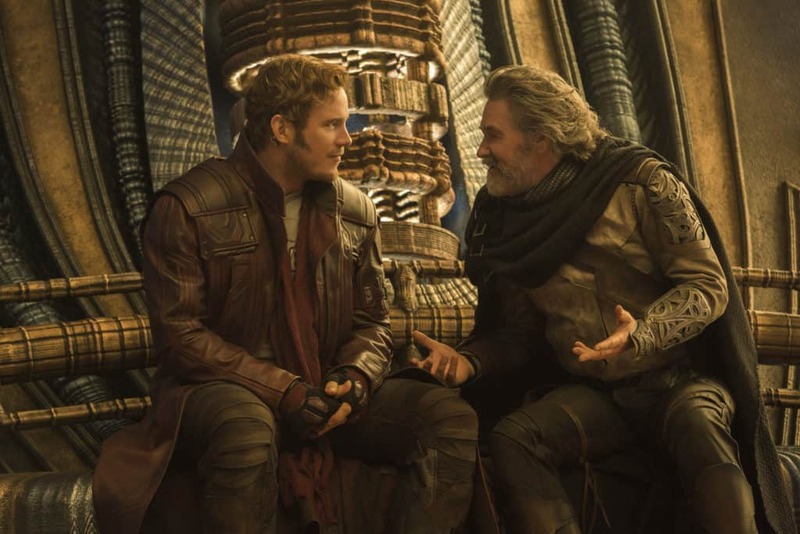 And did you notice that Star Lord now speaks the Groot Language. Was just interesting. And curious to see where they are going to go with the Adam story. This looks interesting! I don’t really watch movies like this but I am sure others will like it! Haven’t see it yet so excited and looking forward to it. This sounds like a fun movie. I love it when there are scenes during and at the end of the credits! I can’t believe there are so many in this one. Cool! I have seen the first movie and it was awesome and very entertaining. I’ve heard so many good reviews about this second one! I can’t wait to watch it. Loved the first one – yet to see this one. Can’t wait now. I have seen the original movie. Maybe I need to watch it again to refresh my memory and to compare it to the second one. Hopefully, it’s as good as advertised. I really need to watch this one, seems great! My friends are going to watch the movie this weekend! I should definitely join! !